Emily Haines & The Soft Skeleton appears Wednesday, Nov. 29 at Union Transfer. 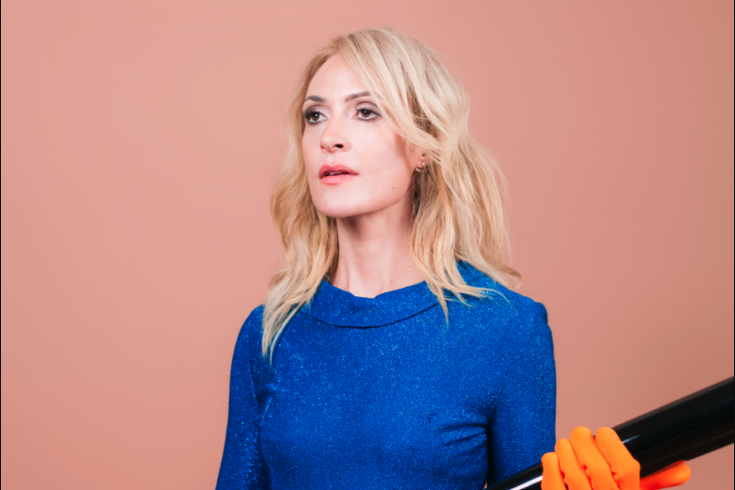 For all the future-forward frankness that her synth-heavy band, Metric, displays on a regular basis, its front woman Emily Haines who is currently looking backwards. The soaring sounds and sharply caustic words of her youth – honed to a fine point on her new solo album, “Choir of the Mind,” makes Haines into somewhat of a diamond cutter. From her Canadian home, Haines – currently planning tour dates that bring her to Philadelphia’s Union Transfer tonight – calls this new project a retrospective of sorts; not so much of her music, but of her life. “It’s me looking backwards, to my second solo album, 2006’s 'Knives Don’t Have Your Back,' and the time when my father died. I’m reconnecting to that time, and that man," she said. That man is acclaimed Canadian poet Paul Haines, the author of several noted volumes of explosive realism poetry whose best-known work as a lyricist is “Escalator over the Hill,” an underground jazz collaboration with Carla Bley, one of the genre’s most independent thinkers, composers and players. “When I was a child, I wanted to be her, knowing how ferociously free-thinking and self-sufficient she was,” stated Haines. Why is now the proper moment to peer into the work and words of her father, 15 years after his passing? Haines knows that she does not come across as a sentimentalist. “That forward momentum” is the key to her sound, she said. The evolution of her solo sound away from the new wave-y Metric, and the eclectic, art rocking Broken Social Scene (for whom she also sings), seems to occur in 10-year increments. Her first solo album, “Cut in Half and Also Double,” was released in 1996. By the time she got to 2006’s “Knives,” the tone was funereal, but the music was shiny and sparkling as it featured a full-blooded, fully orchestrated arrangement of strings and horns. Perhaps that’s because the new album is starker, sparer, and more naked than her previous outings with little but the sound of her piano and her voice to guide Haines. “As this is my first time self-producing, the songs totally spoke to me in a spare way,” she said. “The songs I write for my own records speak to me and tell me how they want to be heard. There is a certain naïve-ness to it,” she said, of the album’s progression. Emily Haines & The Soft Skeleton appears Wednesday, Nov. 29 at Union Transfer, 1026 Spring Garden St. Tickets are $26-$85 Show time is 8 p.m.